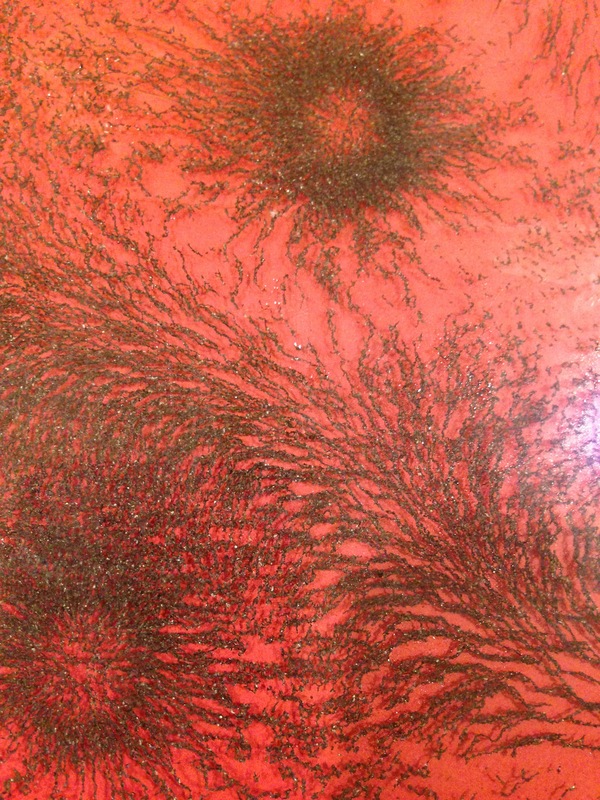 Make patterns with iron filings in oil. Back with colour to make an art piece to photograph. This activity is messy. This activity is messy, and best done in a tray. Probably not suitable for a whole class, but for breakout groups with an attending adult. 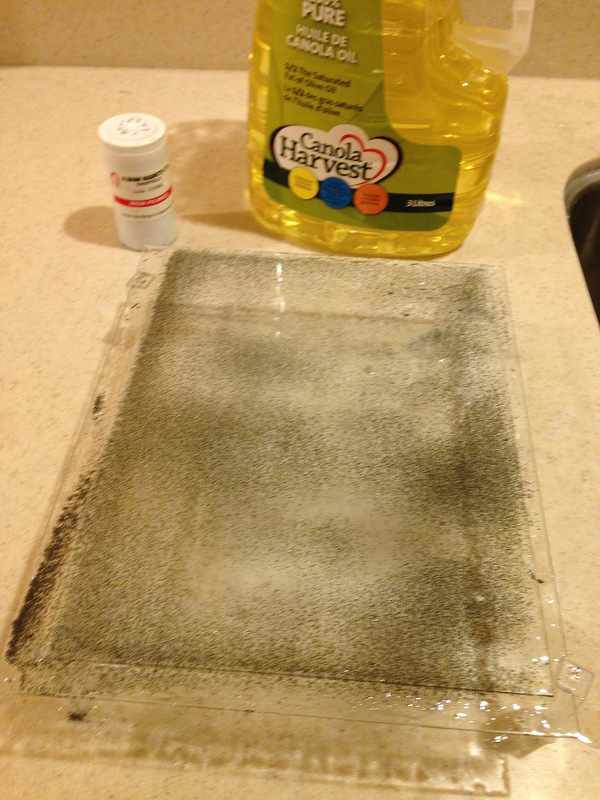 Add a puddle of oil to one glass plate, spread out a little, then sprinkle iron filings on it. Slowly lower the second glass plate, to avoid air bubbles. Add more oil from the edges with a pipette if necessary. 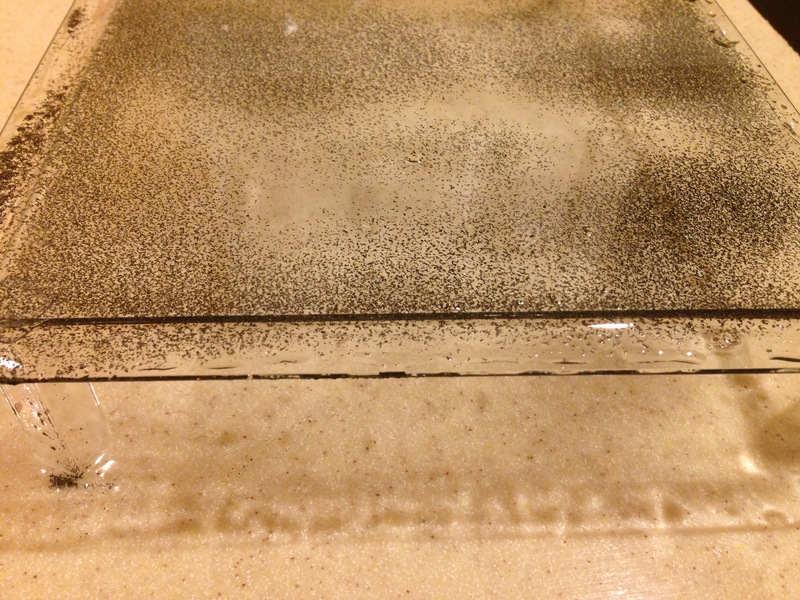 Move the top glass plate in a circular motion over the lower glass plate, to spread out the iron filings. 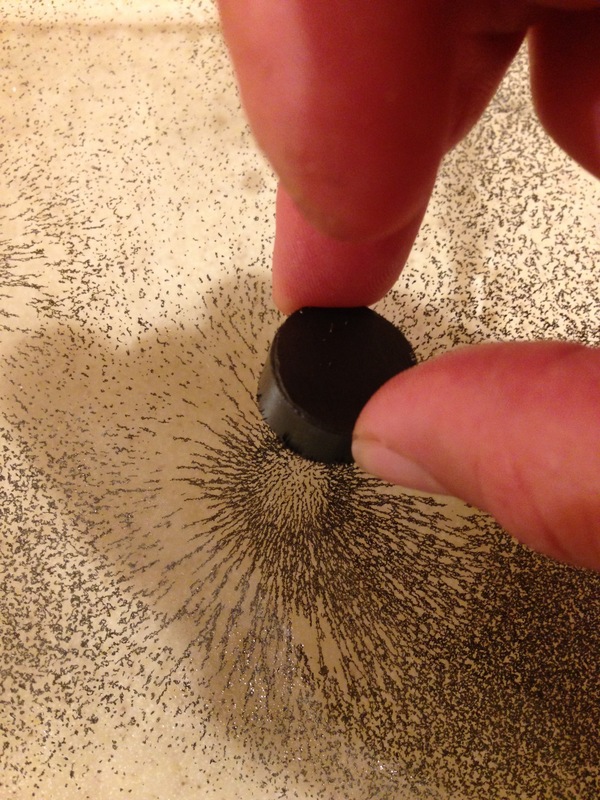 Use a magnet over the top glass plate to draw patterns in the iron filings. Once a design is completed, slide a coloured piece of paper below the lower glass plate, being careful not to get oil on it, then photograph.